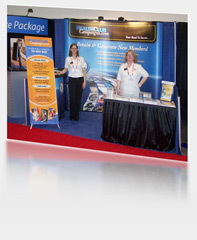 Thank you for visiting us at IHRSA 2009 in San Francisco this year! We had a great show and hope that you did as well! Please, take a look at our pre-designed templates on our site. If you see something you like, let us know. We’ll customize it for your club. We can combine cards together, take elements out of the design, add elements in, swap photos and colors, anything you want! We’ll even custom design pieces just for your club. Just send us your logo and we’ll do the rest!